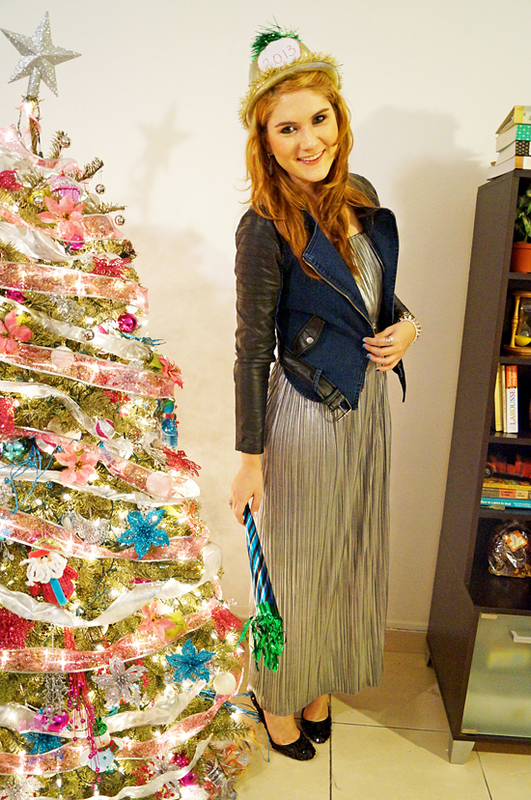 The Joy of Fashion: New Years Eve! 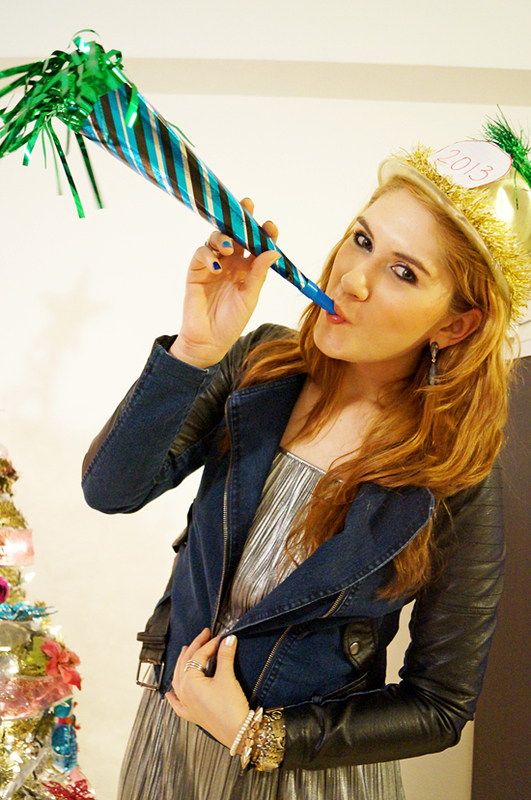 To be honest, I'm not a big party person when it comes to New Years celebrations. I much prefer having a relaxing get together with my family, and that's just what we did tonight at my sister's apartment. 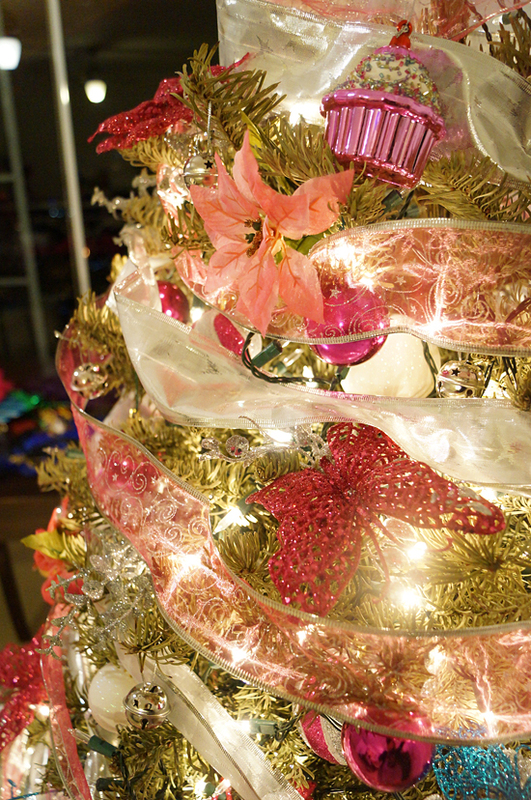 Isn't her pink Christmas tree just adorable? I'm such an old foggy that I fell asleep several times before 12 o' clock, hahaha. 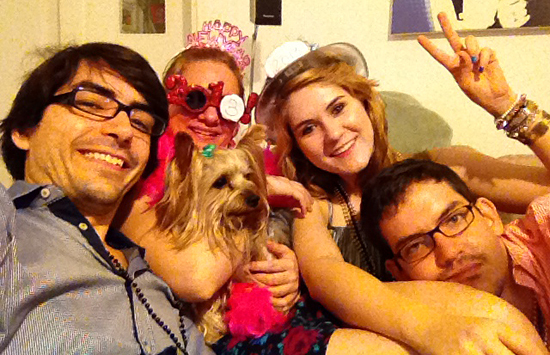 But at least I was awake when it mattered the most, and I celebrated the new year with my amazing family. I had such a wonderful 2012, and I'm sure 2013 is going to be even better! You look so festive! I love the pink tree and the cupcake ornament. 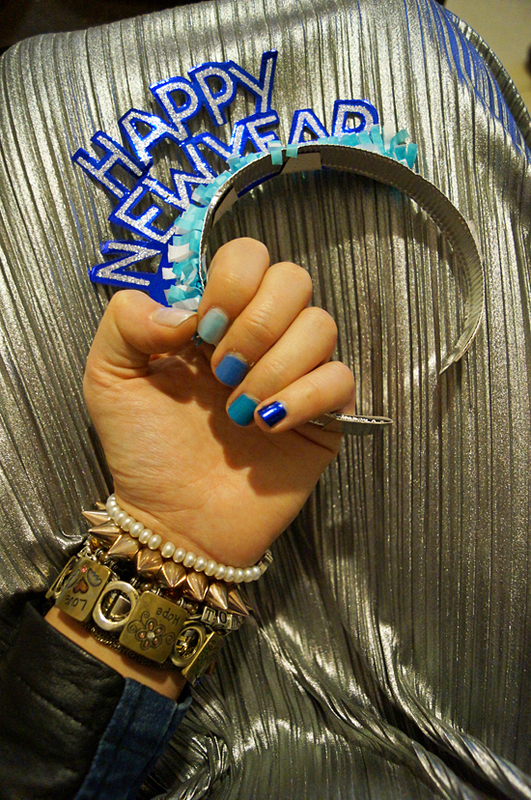 Sounds like you had a wonderful New Year's Eve! Seems like such a fun New Year's Eve! You look beautiful! I'm the same way on New Year's Eve--stay in and avoid all the party people, haha! My family and I just like to stay up and watch the ball drop and then we go our seperate ways and sleep. Glad there's someone else who does that, too! I love that jacket, Marie! I like the metallic and leather too! Plus your tree is so gorgeous! your silver maxi is such a fun dress for the occasion! glad you had a great NYE! i usually spend time with family too. LOVE that jacket! it is gorgeous marie. 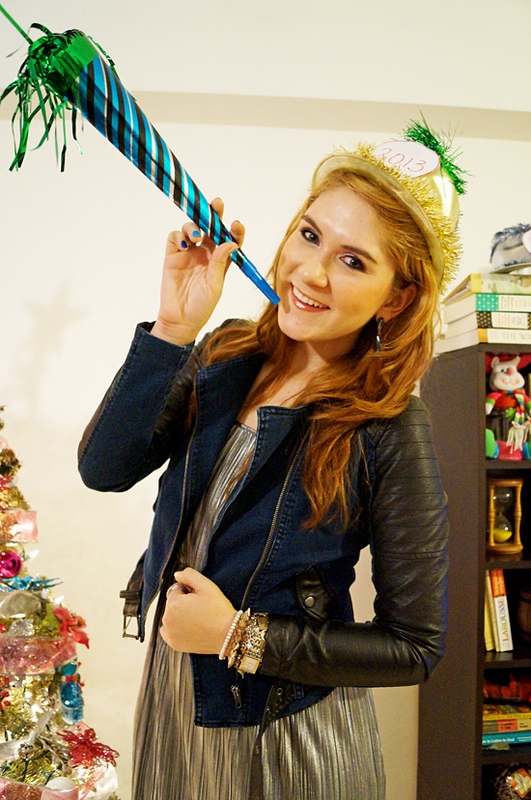 Nice New Year's eve pics! great dress! very glamour and (whcich I always very like) leather jacket! Thank you Mary!!! I'm so glad to hear you like this outfit, yai! You are always so sweet Monika, thank you so much! Thanks Lydia!!! 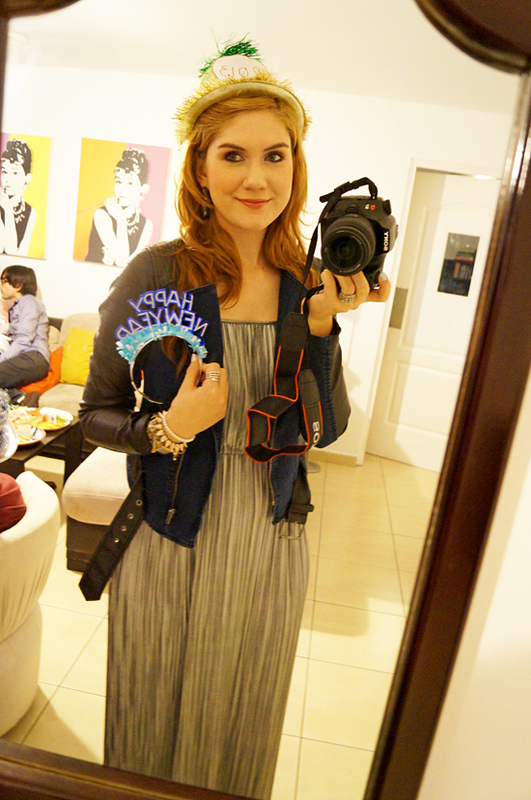 Yeah, I thought it was a good time to wear that silver maxi dress again.. hehe. Hope you had a great weekend! Oh we are two peas from a pod then Ali!! I went to sleep right after the ball dropped. I didn't even wait for the fireworks to end, hahaha. Thanks for stopping by! Aaaaww, thank you so so much! Thank you Kimberly!!! 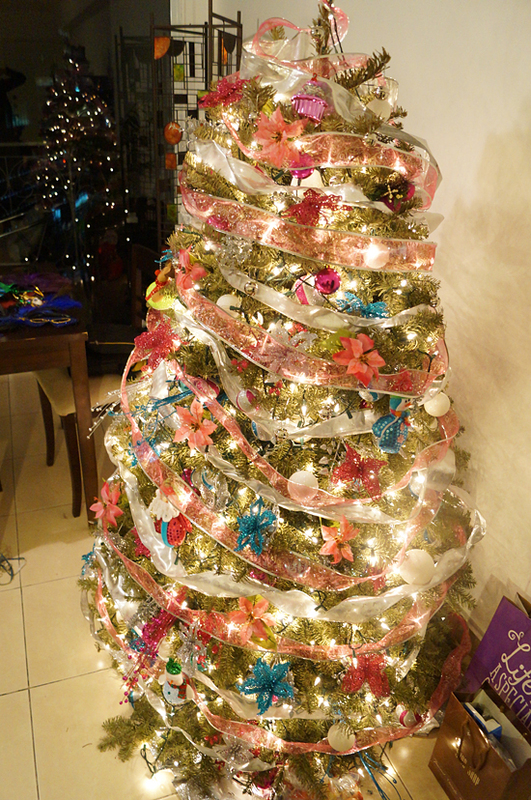 Yeah, I loved my sister's pink tree as well, so girly right? I hope you had a wonderful weekend! Love your jacket! Happy new year gorgeous! 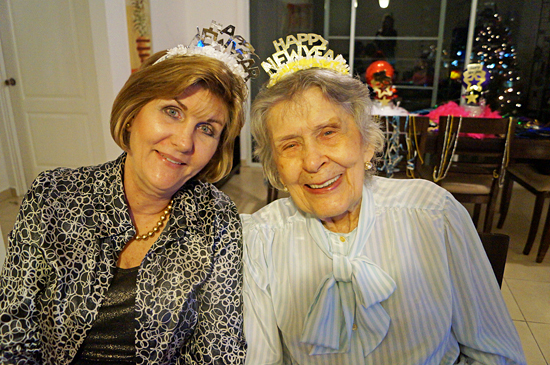 Awe, family is the best company to be around for New Year's. I've never been a big partier on New Year's either - an evening at home with the people I care about most is the best way to spend the evening. 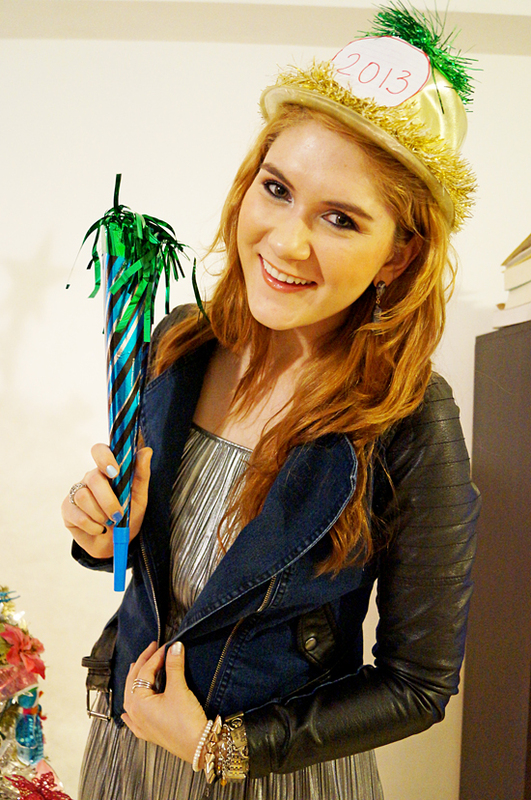 I hope you have a fabulous 2013! Thank you so much Constance!! You are so sweet! Looks like you had a fun New Years Eve! 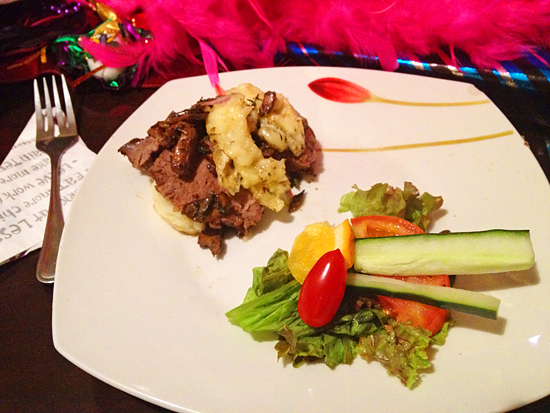 Your dress fit perfectly for new years. Love the jacket! Its so nice to know non-partying new year celebrating people. lol. I am one of them. Prefer a quieter cosier family event too. Thanks Heidi!! Yeah, I was pretty pleased with the dress I picked this year, especially since it was super comfy!